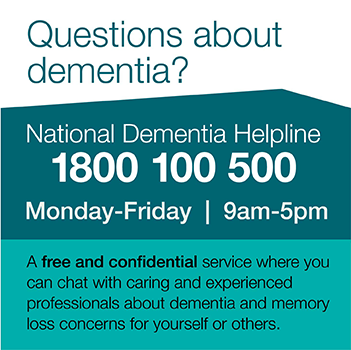 Problems with sleeping are a common occurrence for people with dementia. Some people sleep during the day and are awake and restless at night. Some are no longer able to tell the difference between night and day, while others are simply not as active as they used to be and consequently need less sleep. It is important to try to recognise what may be causing the problem – is it the environment, the dementia or the medications used? This will help to decide on which strategies may be helpful. Some families and carers find that keeping a log or diary may help them see the pattern of behaviour that may be developing, enabling the cause of the problem to be pinpointed. Try to make sure that they are getting enough exercise. Try taking one or two walks each day. Sleep problems are among the most difficult symptoms of dementia. Families and carers must be able to get adequate sleep themselves. Try to ensure regular periods of rest and regular breaks for yourself, as well as for the person with dementia.